Testimonial 2015 | Jeremy Milikow CEO, UrbanRide, Inc. It is with great pleasure that I provide this testimonial for Advaworks. We were looking for a company that could both support our IT infrastructure and provide high quality software development services. In particular, we were looking for a partner that could work with a complex legacy system and help with various initiatives including Ios and Android app development. First a foremost, as a small business, we are constrained regarding our technical resources However, our software systems are mission critical and support a 24/7 operation. Advaworks has been absolutely amazing in supporting our operation. One of the reasons that we chose Advaworks is because of a personal relationship with Mr. Trusov. He was already familiar with our legacy systems and so we were confident that the handoff period from our previous provider would be handled smoothly. Since working with Advaworks, I’m happy to say that we have managed to complete a number of very important development products, our systems are more reliable and stable, and our company has dramatically increased its competitive position in the market. One of the things that is great about Advaworks is there willingness to tackle new technologies. I think that lots of companies would benefit from Advaworks services in particular those that have mission critical systems and are looking for very high quality development services. Testimonial 2016 | Jeremy Milikow CEO, UrbanRide, Inc.
We are very excited about the future possibilities that are partnership will bring. We are functioning in a very difficult environment (with lots of competition) but your support has given us capabilities that are competitors can only dream about. We are looking forward to continuing working with you in the coming years and we enhance our capabilities even more. Backoffice application that allow access to business anywhere. Mobile application for Greeters. Available on Android and IOS platform. 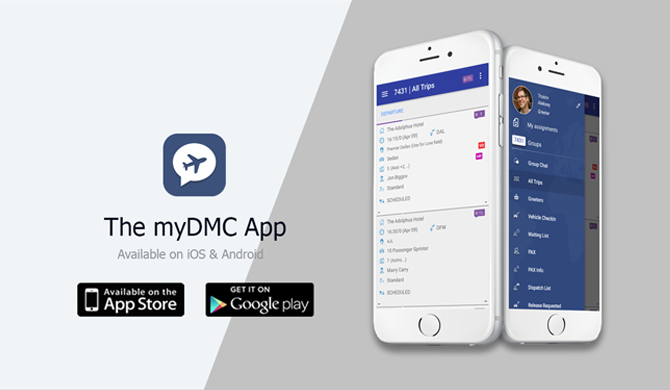 myDMC provides real time management of group transportation logistics. Support for meeting planners, transportation providers, logistics staff and attendees. 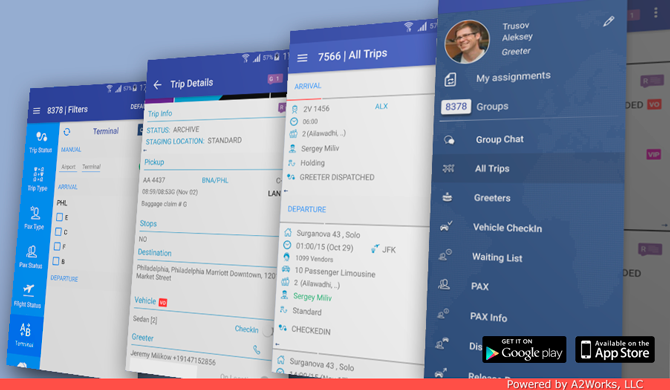 Mobile application for Chauffeur. Available on Android and IOS platform. Working with Backoffice according company process. 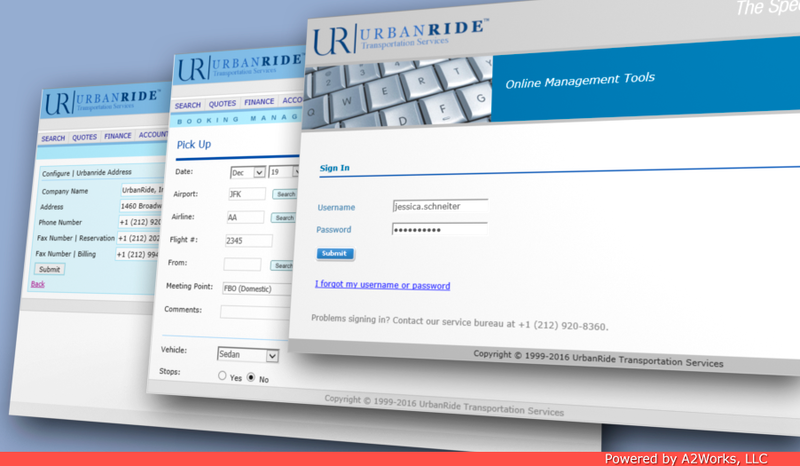 The objective of the Itinerary Management System is to serve the transportation needs of Professional Meeting & Event Planners. Create a fleet of vehicles. Also, the system allows generating different kinds of reports in PDF format, maintaining log records, and managing information on users and user groups. The purpose of the manifest application is to automatically process a manifest provided by the client into system. The file must be in CSV format and conform to a standard format that includes the arrival and departure flight information and venues. The objective of the Bill Manager is to provide application for Account manager to bill group reservation on client side. Also, the system have UI to test API before development. 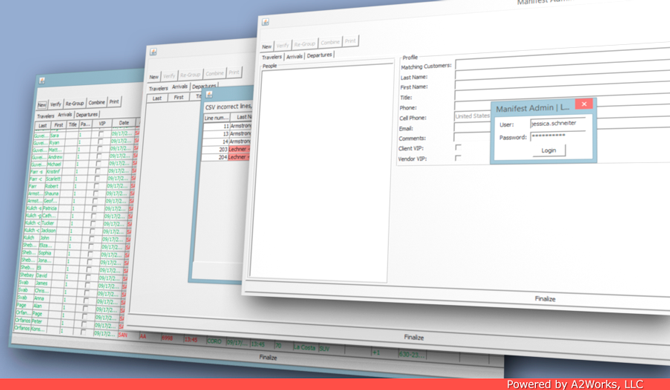 The purpose of application take a client interface to monitor own group and provide real time data as soon as possible. Communication between system - client - staff less then 0.5 sec.